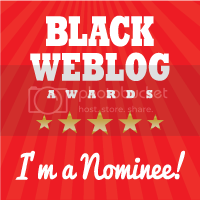 Black Weblog Awards — I’m a Nominee! Thanks to your support, LoveAt1stByte.com is a nominee for Best New Blog! In doubly amazing news, my Twitter page @TatianaKing was also nominated for Best Microblog! Check out the rest of the nominees for the Black Weblog awards here: Black Weblog Awards. First-round voting starts on September 16! Make sure you’re following @LoveAt1stByte and @TatianaKing for updates on the awards! PS – Shouts to my podcast-mates, Fan Bros Show, for the best new podcast, and best new blog nominations! Congratulations! I hope you win.